Medical Superintendent continuing Chairman of Institute Purchase Committee in violation of CVC Manual. Chandigarh 24th May, 2015 ; The PGI MTA has sent a written complaint to Prime Minister and Chief Vigilance Commissioner regarding illegal and arbitrary continuation of Dr. Anil Kumar Gupta, Medical Superintendent as Chairman of Institute Purchase Committee since 29th November, 2011. Dr. Anil Kumar Gupta, Medical Superintendent took over the charge of purchases by various departments from Rs. 5 to 25 lacs within few weeks of joining of Dr. Yogesh Chawla as Director of Institute. Though, most of the Local Committees have either been re-constituted or partially changed within 2-3 years but Dr. Anil Kumar Gupta, Medical Superintendent has been allowed to head a highly sensitive purchase Committee, which makes purchases of crore of rupees per year. Though, the Central Vigilance Commission has time and again reiterated to either change or rotate persons dealing financial and other public dealing posts within 2-3 years but Dr. Anil Kumar Gupta, Medical Superintendent has been continuing as Chairman of Institute Purchase Committee since 29th November, 2011. Copy Attached. Further, there are strong resentments that Dr. Anil Kumar Gupta makes favouritism while approving proposals of HODs for purchase of various equipments and other materials ranging between Rs. 5 to 25 lacs. There are complaints of bypassing norms and favouring specific firms and concerns. 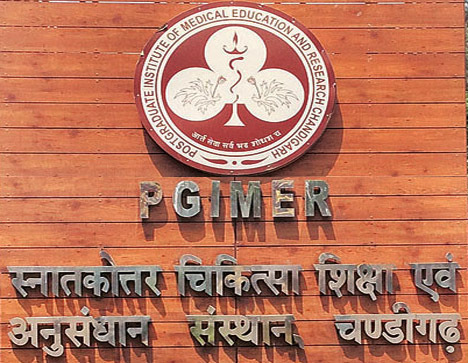 Therefore, the PGI MTA has requested Hon’ble Prime Minister and Central Vigilance Commissioner to investigate the purchases cleared by Institute Purchase Committee during the tenure of Dr. Anil Kumar Gupta, Medical Superintendent as its Chairman.